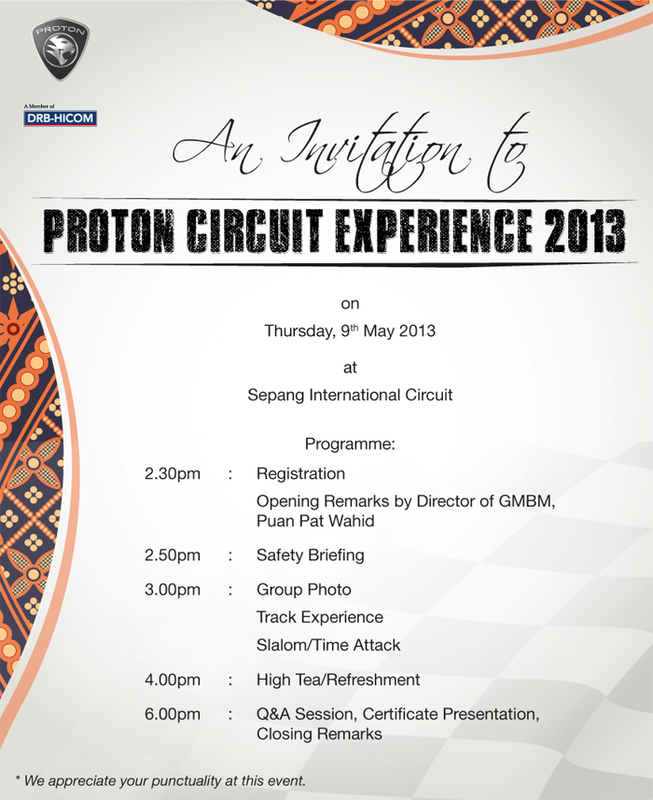 Proton Inspira Owners Club Malaysia (PIOCM) has been invited by PROTON to join in their limited-seats event, "PROTON Circuit Experience 2013!" 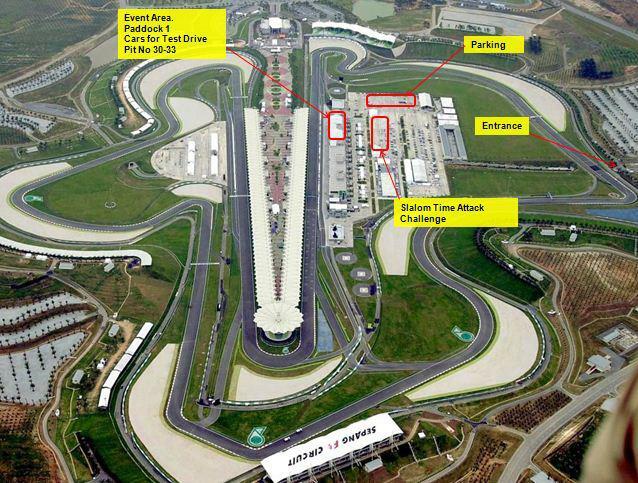 The venue will be at Sepang International Circuit. Yup, the same place where the recent Formula1 race was held. So, there will be 2 main events, Track Session, and Time Attack Session. For Track Session, from what I understand, PROTON will provide 4 types of cars, with 4 cars for each type. That's totalling to 16 cars on the track. So each person can experience driving all 4 car types at SIC!!! For Time Attack, there will be 2 identical courses at the parking lot, we'll be using Proton Preve CFE, 2 cars for 2 tracks, while 2 other cars on standby. We'll have practice laps too! According to the map given, we'll be based in Paddock Club 1. Well, from the looks of it, guess the layout of the paddock room is superb! 1. Simulation Games! I expectthis to be F1-ish arcade games. 2. Buffet!!! Always a good thing!! In all honesty, this is my first time entering the upper paddock area, the place where VIPs stay to mingle while watching the race.